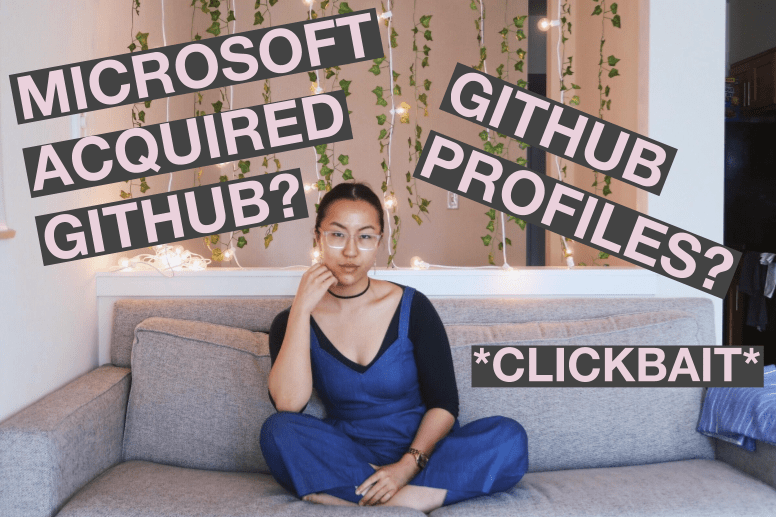 Let's talk about Microsoft's Github acquisition! It caused a lot of people to ask the question: "Should companies exclude candidates who do not have github projects?" I remember when I first started programming, the common message was "If you want to get a job in programming, contribute to GitHub!!" but now that I'm further in, the whole message is almost confusing. And what about people that can't contribute? What if you just like programming as a job? What if you're a full-time student with an internship? What if you have a different opinion about OSS? In my own view, it almost seems unfair to judge people off their github profiles. Totally agree that it is unfair to judge people based off their github profiles. My opinion is that at best, depending on the open source contributions / personal project, github profiles can be a positive signal. But it absolutely shouldn't be a negative signal if you don't have a github profile. 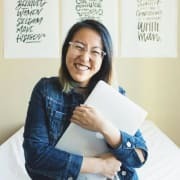 I have the same perspective, I am a student and a developer, so I only code while working. And actually using codeCommit from AWS. So seems not fair to me that a person with a github account and more commits than me have a better oppotunity than me. @Agustin right there with ya. I don't think companies completely judges you based on your Github portfolio. Most of them still wants to give a technical examination. I am a full time student with an internship. I prefer to create some personal stress free projects or just tinker with new technologies, instead of contributing to open source. The whole part about GitHub being used as a resumé/CV makes little sense to me. I am working on NDA Enterprise apps for 12+ years. I had no time for contribution and had very little activity on gh. On the other hand I've seen people who contribute a lot, but some of them were the most terrible people and developers I've had honor to work with that i even don't want to see them in my day to day life ever again. Gh profile is only one tool among many others. Hiring is too complicated topic to be only about having gh profile. After all only yhing that matters is actually doing job and it only can be checked in doing real tasks within real team(or without, depending on situation). Gh profile is good place for publishing your attempts with new tech you are playing with. But oss contributions alone mean nothing alone, because how person behaves under work pressure/schedule/deadlines is what matters. Contribution on GH leaves everybody with context, rendering it unreliable source of.. anything. I'm already more than happy if the candidate has their own website. Or has a little something online that is googlable. It's not critical, but it makes it easier for me to prepare for the interview(s). "Frontend" is such a broad term that one applicant could be mostly experienced in CSS and a little JS, and the other could be an Angular-person with no interest in styling. But both have similar keywords in their CV. So I think it's not required. It helps the company decide earlier on, so it may go both ways. If it's a company's sole method for determining, "do I want to reach out to this person," then, at best, it's short-sited. I mean, at the very least, trolling GitHub to find people to cold-call is likely to have a low conversion-ratio: 1) you're assuming that the people you're cold-calling are going to be receptive to such a call; 2) you're probably not the first, at this point in the recruiting game to have contacted the person this way. As to the fairness of trolling GitHub while not contacting those who don't have a GitHub presence? It's like my parents told me from a very, very early age: "life's not fair." Don't forget how this impacts people with caring or parenting responsibilities outside work. It makes sense to want to hire people who are passionate and commit time developing their skills, but using this as a filter makes it much harder for people with limited free time outside work, which is likely to discriminate against people with (for example) young children. If you want to have a diverse workforce, it's important that github history be considered positive but not the only way to prove your skills! The Programming world is sprinting ahead at the speed of professional Kenyan athlete, while most of us are fat, untrained and exhausted guys/girls. We cannot keep up with such speed. You prepare for something then BAM, something new is up there. 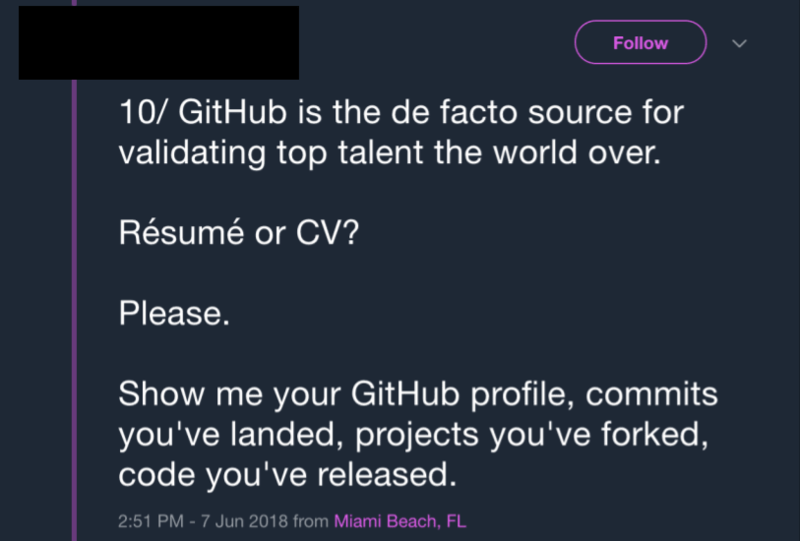 Now they are using github as resume? Until I boost up my github a new "trend" will be hip and so on and so on. Interviews are becoming more and more complicated and long and painful. Too much complications in something we all love. My question is, why? All the code I work on can't be put on public site like github. After that I don't have time for side projects. I agree you can't force everyone to do this. 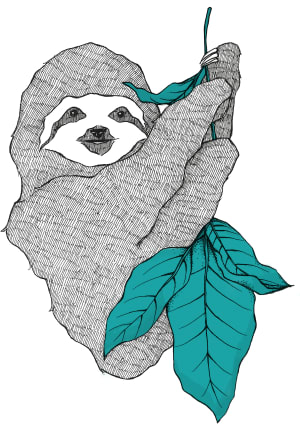 Being a freelancer I have very little time to contribute or post on GitHub. After 35 years in this business having code on GitHub honestly doesn't mean much at all to me, nor my clients. When it comes to "showing my stuff", I have a portfolio. I do use GitHub to keep up with things like my favorite add-on's for editors and such. I also have published some code snippets and very small projects there for others to look at if they are interested. 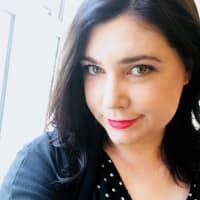 In my experience, any company that is legitimately looking at someone to hire full-time is going to test their knowledge and people skills face to face. Javiar hit it spot on. If they are putting a lot of weight on your GitHub repos or contribution they are just being lazy IMHO. With that said, I think think it is a great thing for a junior developer to build some projects on GitHub and contribute to an open source project or two. Anything to expand their knowledge is a great thing!